The double authorization requires card and password combination to open and it is fully secured. It provides safety to you, your family and belongings. 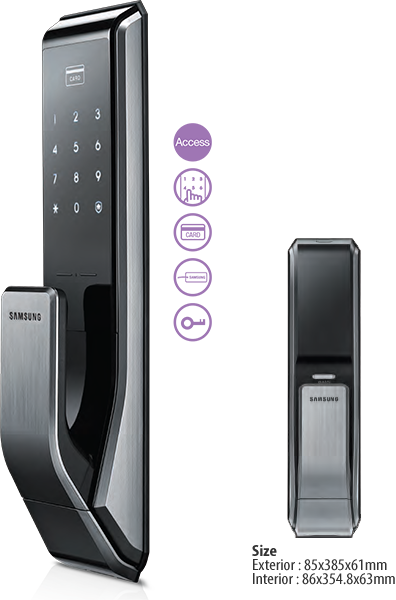 Samsung doorlock guards your home and office 24x7 and it gives you peace of mind when you are away from home and office. Double authorization requires card & password combination to open.